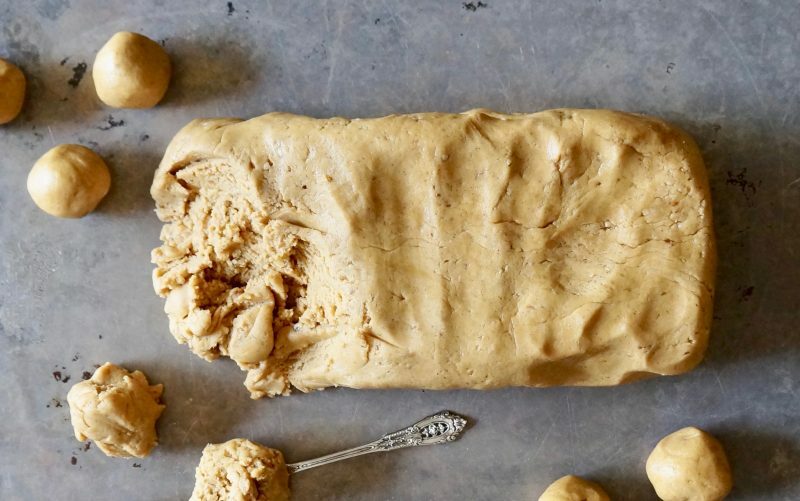 A hardworking cookie dough that may be used in a variety of ways makes holiday baking a little bit more straightforward. Chocolate-Gingerbread Thumbprints begin with the same base recipe found in Gingerbread Snowballs but that flavor & look is quite different. The option of preparing one dough that may be divided in half to make both versions is certainly a smart choice, if desired. Package these gems in bakery boxes or line them up on heirloom silver trays when entertaining during the holidays. 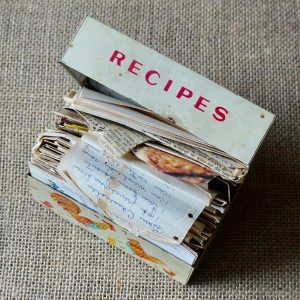 The Essential Guide To Christmas Holiday Baking offers valuable pointers on how to bake & package hand crafted items so be certain to have a peek. 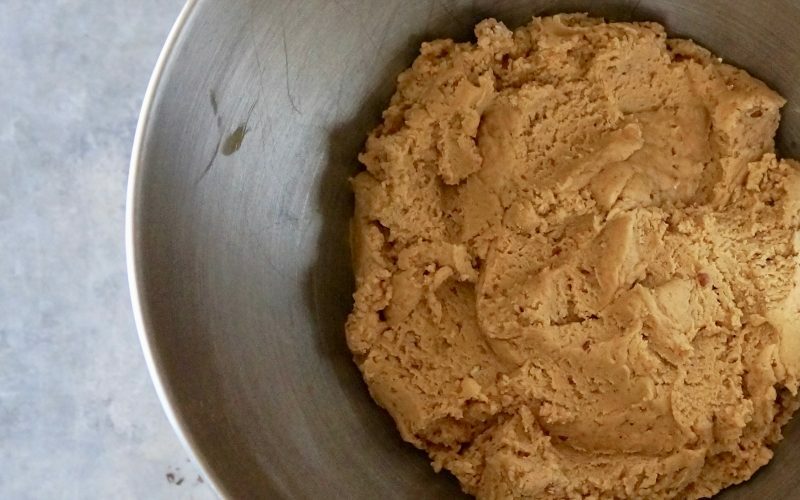 Learn how to make an irresistible cookie that everyone will love. 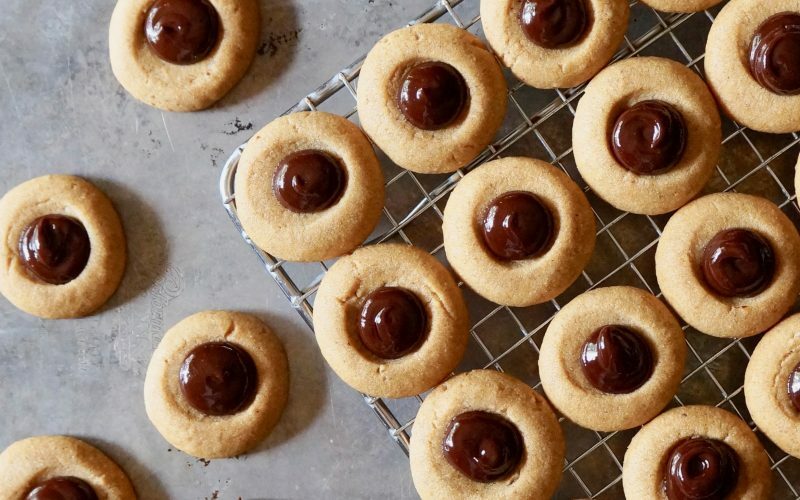 Dark chocolate kisses pressed into the warm-from-the-oven cookies can be substituted for the Bittersweet Chocolate Ganache. Preheat the oven to 325 degrees. 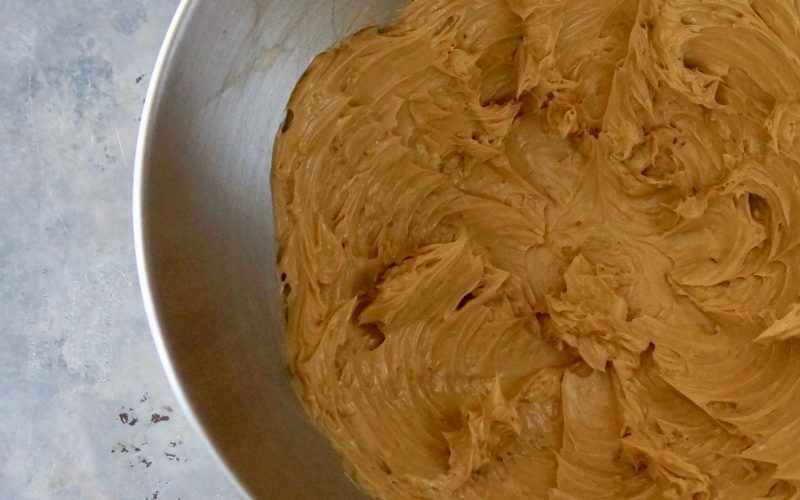 Beat the butter & the molasses with an electric stand mixer until creamy. 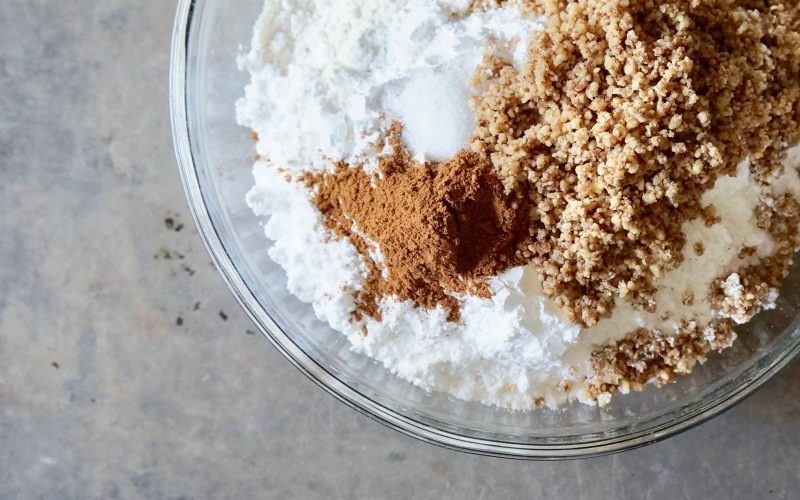 Whisk together the flour, the powdered sugar, the pecans, the pumpkin pie spice & the salt. Add to the butter mixture & blend on Low just until the dough comes together. Stop the mixer occasionally & scrape down the bowl sides. Roll the dough into 3/4-inch portions. Place onto parchment paper-lined half sheet pans. Press an indentation in the center of each dough portion. Bake 15 to 18 minutes or until lightly browned on the bottoms. Cool completely. Prepare the Bittersweet Chocolate Ganache. Place the ganache into a pastry bag fit with a small round tip. Pipe a small amount into cookie centers. Let stand until set, about 1 hour. Microwave 1/2 cup bittersweet chocolate morsels & 4 Tbsp heavy cream in a small glass bowl on High 30 to 60 seconds or until melted. Whisk until smooth. Let stand 5 minutes. The first step to handcrafting something stellar is to begin with quality ingredients. The rest comes down to utilizing the proper procedure & not cutting corners. Molded Cookies refer to a specific cookie style. Blend the dough, then roll it in balls or various shapes before baking. 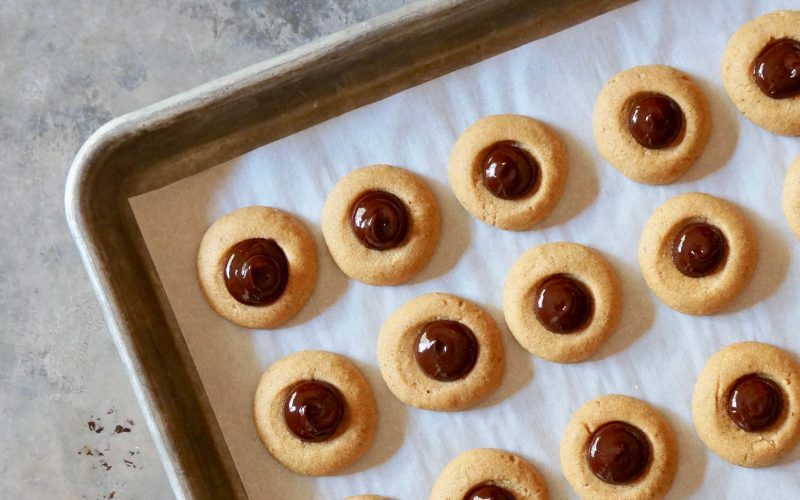 The recipe leans more on the side of a shortbread but the addition of molasses offers a softer bite. Although the Chocolate-Gingerbread Thumbprints taste delicious with the ganache in the center, use you favorite jam for a lovely variation. Toasting pecans ahead of time before adding them to recipes offers rich flavor. Place them on a sheet pan & bake at 350 degrees for 6 to 7 minutes or until fragrant & lightly browned. Always make sure the nuts are cool before using them. Place the pecans in a food processor to blend them using short bursts of power until finely ground, about 15 seconds. Do not over blend them as the oils will begin to release which may affect how the cookies perform during the baking process. Evenly dispersing the dry ingredients before adding them during the blending process will shorten the amount of time needed to incorporate the ingredients into a uniform dough. 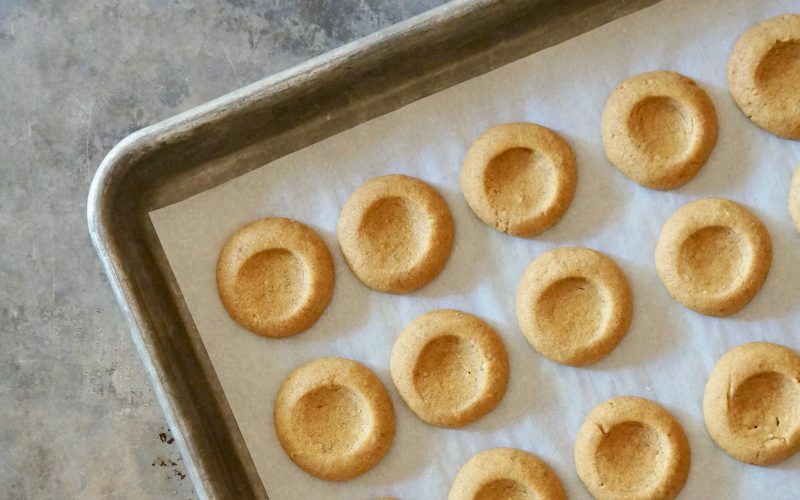 The technique help ensure a tender cookie texture. Use a flat beater attachment to blend the softened butter & to evenly distribute the molasses throughout. Therefore, only a quick mixing of the remaining ingredients are in order. 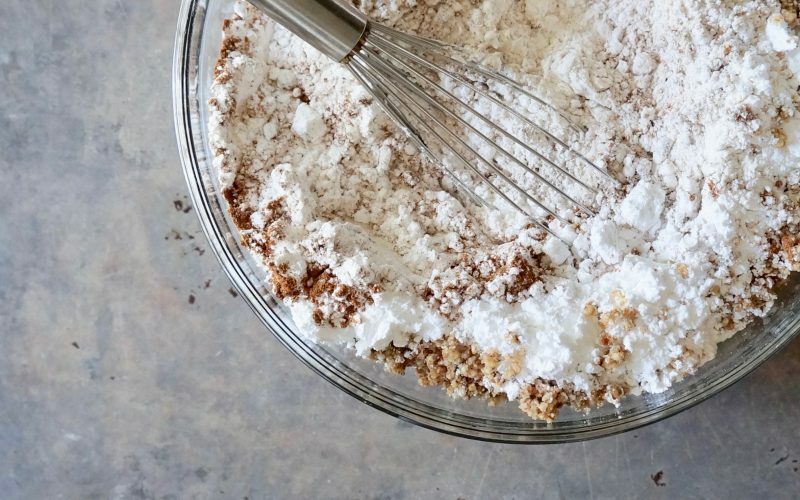 Scrape down the bowl sides using a rubber spatula then add the dry ingredients to the butter mixture. Blend on Low speed just until the dough comes together. At the end of the blending procedure, expect a soft dough that holds together well. 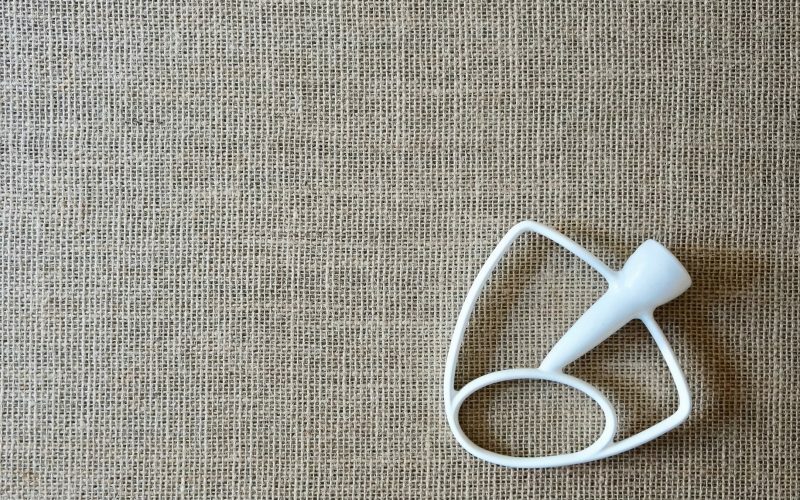 Remove the dough from to the flat beater attachment using a rubber spatula. 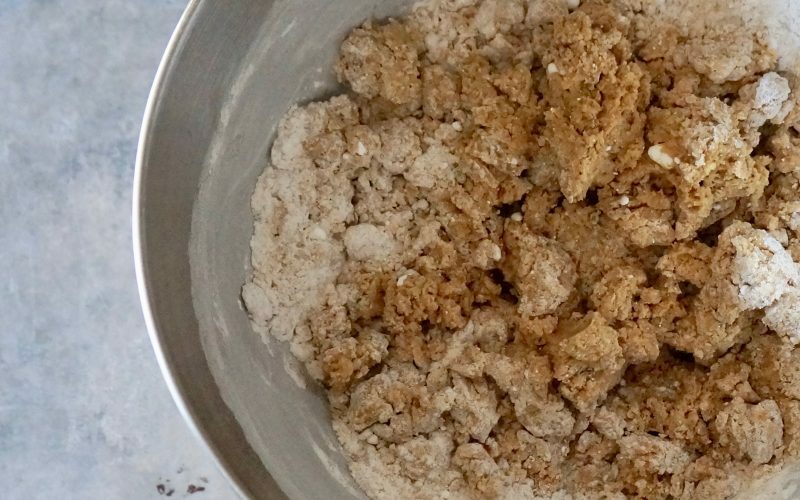 Lift the dough from the bottom of the bowl & be certain the entire mass is well blended so that the cookies bake consistently. 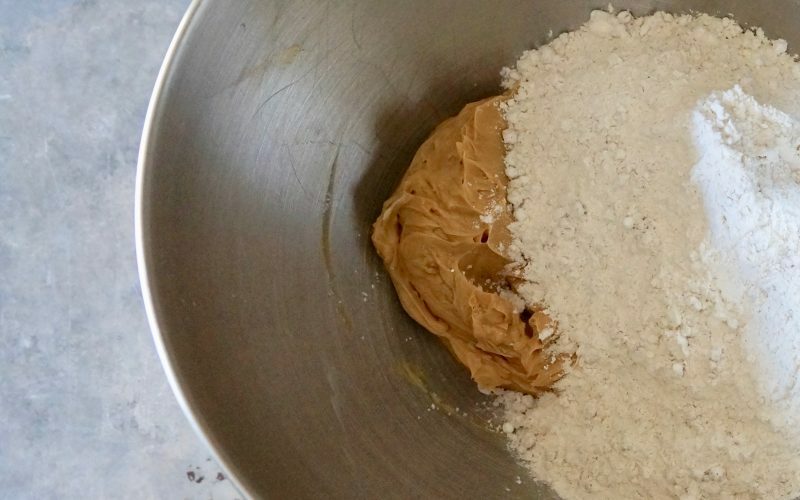 Remove the dough from the work bowl & shape into 3/4-inch portions. 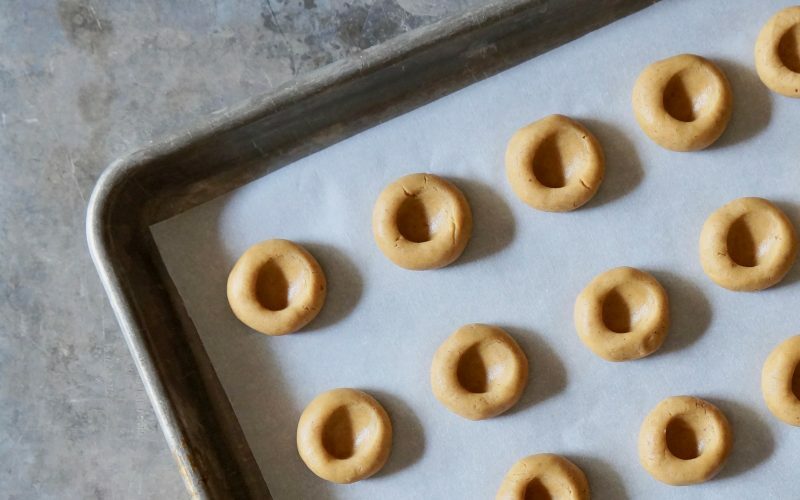 Place them 1/2-inch apart onto parchment paper-lined half sheet pans as they will spread a bit during baking. Press an indentation in the center of each dough portion. 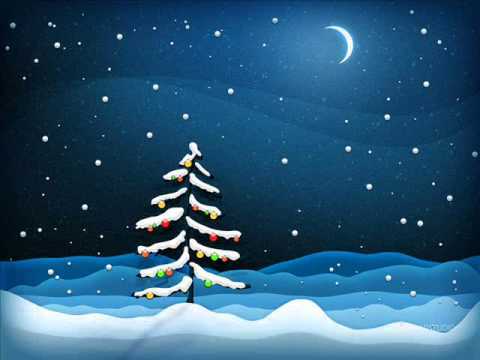 Before baking cookies, it’s important to preheat the oven in advance so that the dough performs as it should during the baking process. 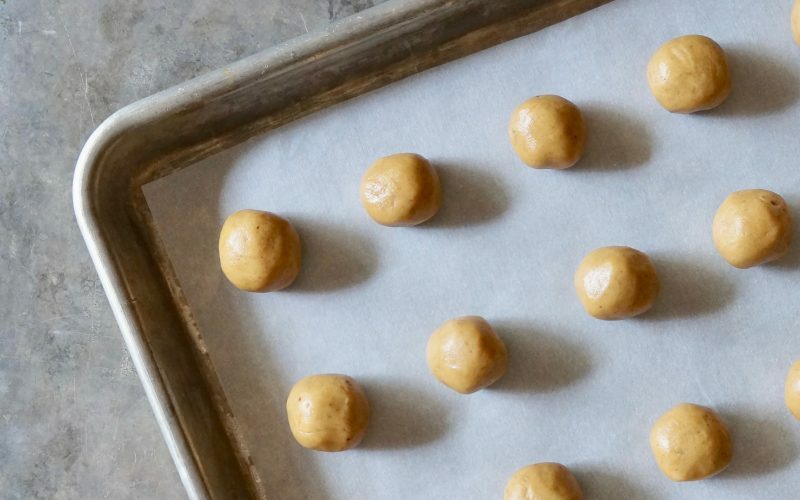 Only bake one pan of portioned cookie dough at a time for accurate results. 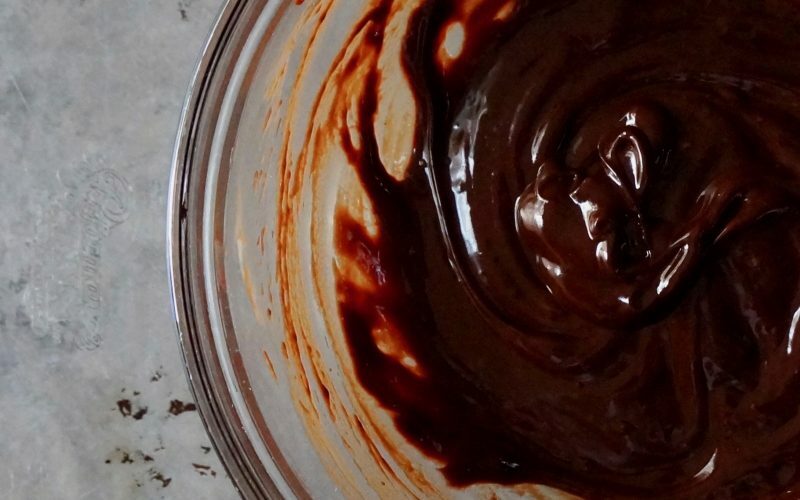 Prepare the Bittersweet Chocolate Ganache. Place the ganache into a pastry bag fit with a small round tip. Pipe a small amount into cookie centers. Let stand until set, about 1 hour.